After more than 350 years of subjugation, the Filipinos rose in revolt against their Spanish colonizers in August 1896. The rebels, led by Emilio Aguinaldo, scored initial successes but when thousands of reinforcements arrived from Spain, the tide of battle turned against them. The Spaniards retook town after town. The plight of the rebels was aggravated by their lack of unity and everyone realized that the situation could only be saved if the rival factions threshed out their differences. Thus, a convention was called in Tejeros in Imus, Cavite on March 22, 1897 to resolve the question of leadership. The delegates agreed to establish a Republic of the Philippines, which was then and there proclaimed. It was also agreed that the top two officers of the Republic would be the President and the Vice President. In the elections that ensued Emilio Aguinaldo was chosen as the President and MARIANO TRIAS Y CLOSAS the Vice President. Trias won over Andres Bonifacio, Mariano Alvarez and Severino de las Alas. The advances of the Spaniards continued. Aguinaldo was compelled to abandon Cavite and make a long trek to Biyak Na Bato at the foothills of the Sierra Madre mountain range. Here the rebel forces established in November 1897 what is now known as the Biyak na Bato Republic. A provisional Constitution of the Republic of the Philippines was adopted which created a Supreme Council as the highest authority composed of a President, a Vice President, a Secretary of War, and a Secretary of the Treasury. Aguinaldo and Trias were again elected President and Vice President, respectively. The Constitution was intended to be in effect for two years, but it was overtaken by the Pact of Biyak na Bato, which was signed on December 14, 1897. Under the terms of the pact the Revolution was put on hold; Aguinaldo and his officers laid down their arms and went into voluntary exile in Hong Kong. When the Spanish-American War broke out, Aguinaldo returned to the country in May 1898 to resume the struggle for independence. This time the Revolution had a different ending. The entire country rose in arms from the Ilocos, to the Bicol Region, to the Visayas and Mindanao. The Spanish government collapsed like a stack of cards. 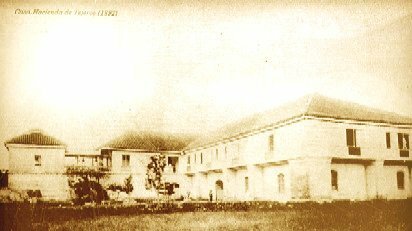 Within a brief period, Aguinaldo had control over the outskirts of Manila and the rest of the countryside. On May 24, 1898 Aguinaldo established a Dictatorial Government and one month later, on June 23, 1898, he transformed it into a Revolutionary Government. On November 29, 1898 a Constitution was adopted by the Malolos Congress. The following January 23, 1899 a Constitutional Republic of the Philippines was proclaimed. Not one of these governments provided for a Vice-President. The Aguinaldo government did not last long. On February 4,1899 war broke out between the erstwhile allies - America and the Philippines - and the Americans emerged victorious. For the next 30 plus years, the Philippines was governed by the United States thru Governor Generals and Vice Governor Generals. There was no position of Vice President. On March 24, 1934, the United States government enacted the Tydings-McDuffie Law. The law assured the Philippines of complete independence and called upon the Filipinos to write their own Constitution and establish their government. Accordingly a Constitution was crafted which adopted a presidential form of government. Ratified by the people on May 14, 1935, the Constitution revived the position of Vice President. On September 17, 1935 an election under the Constitution was held. SERGIO OSMEÑA was elected Vice President. He defeated the other contenders, Raymundo Melliza and Norberto Nabong, by a wide margin. On November 15, 1936 Osmeña and his presidential running mate, Manuel L. Quezon, were inaugurated. Quezon and Osmeña were reelected in 1941, defeating presidential candidate Juan Sumulong and his running mate Emilio Javier, a lawyer and an educator. They started their second terms on December 30, 1941, however, the invasion of the Philippines by the Japanese drove the Commonwealth government into exile. Quezon and Osmeñna held on to their positions and on May 13, 1942, they transferred the seat of the Commonwealth Government to Washington, D.C. From there they discharged their duties. When Quezon died on August 1, 1944, at Lake Saranak Hospital, New York, Osmeña immediately assumed the Presidency. Meanwhile in the Philippines, the Japanese government proclaimed “Philippine independence” on October 14, 1943 under their sponsorship and control. A new Philippine government was set up and a new Constitution was framed, but there was no provision for a Vice President. On February 27, 1945, after peace was restored, the Commonwealth government was re-established in Manila under President Osmeña. New elections were scheduled in 1946. ELPIDIO QUIRINO run for Vice President and won over Senator Eulogio Rodrigues and Lou Salvador, a vaudeville actor. On May 28, 1946 Quirino and President Manuel Roxas were sworn into office. They were inducted into office anew when Philippine independence was proclaimed on July 4, 1946. On April 15, 1948 President Roxas succumbed to a heart attack after delivering a speech in Clark Air Force Base in Pampanga. Two days later Quirino was sworn in as President of the Philippines by Acting Chief Justice Ricardo Paras. Once again the Philippines was without a Vice President. In the 1949 elections President Quirino picked FERNANDO LOPEZ, as his running mate. In what is often described as a scandalously fraudulent presidential election, Quirino won over Jose P. Laurel and Jose Avelino, while Lopez defeated Justice Manuel Briones and Vicente Francisco, an author of law books and the owner of a law school. Quirino and Lopez were inaugurated President and Vice-President, respectively, on December 30, 1949. Magsaysay enjoyed an unexcelled popularity among the masses and was conceded to win reelection hands down in 1957. It was also widely expected that Garcia would be replaced as Magsaysay’s running mate by a better vote getter. However, on March 17 of that year, the aircraft Magsaysay boarded at the Cebu airport slammed into Mt. Manungal, killing all the passengers but for a journalist. Thrust into the presidency, Garcia ran for reelection in 1957 and won over six other candidates, but his Vice Presidential candidate, Jose B. Laurel, Jr., lost to DIOSDADO MACAPAGAL. Macapagal obtained 2,189,197 votes, as against 1,783,012 for Laurel, 314, 685 for Senator Lorenzo Tañada, 375,090 for industrialist and educator Vicente Araneta, and 10, 494 for Restituto Fresto of the Lapiang Malaya. Macapagal, the Vice President from December 30, 1957 to December 30, 1961, was not given a Cabinet assignment. This enabled him to barnstorm around the country and prepare for the 1961 Presidential elections. In 1961 Macapagal defeated Garcia for the presidency by a convincing majority. His running mate, EMMANUEL PELAEZ, also trounced Senator Gil Puyat, the Vice-Presidential candidate of Garcia, and Sergio Osmeña, Jr, an independent candidate for Vice-President who run without a party organization, but still managed to come in second. Macapagal and Pelaez were inaugurated on December 30, 1961. During his term, Macapagal limited corruption and did his best to pass reform legislation, but the customary grievances of the voters (high prices, smuggling, a rice pila, and graft in some offices) had left them disenchanted. In 1965, the electorate again voted for new occupants at the Palace. Macapagal and his running mate, Gerardo M. Roxas lost to the team of Ferdinand E. Marcos. The new Vice-President, FERNANDO LOPEZ, emerged victorious by a very narrow vote, garnering 3, 531, 550 votes against 3, 504, 826 for Roxas. The other candidates, Manuel P. Manahan, Gonzalo D. Vasquez, Severo Capales and Eleodoro M. Salvador had a combined vote of less than a quarter of a million. Marcos and Lopez took their oaths on December 30, 1965. For Lopez it was the second time around. The two were re-elected in 1969, but Lopez would not finish his third term. He had a falling out with Marcos in 1971 and when the latter declared martial law in September 1972 the Office of the Vice-President became irrelevant. On January 17, 1973 Marcos issued Proclamation No. 1102, in which he certified and proclaimed that a new Constitution had been ratified and had come into force and effect. The 1973 Constitution did not provide for a Vice-President. For the next 13 years, the country was without a Vice-President. In 1984, during the twilight years of the Martial Law regime, the Office of the Vice-President was restored through a Constitutional amendment that was ratified by the people. The amendment specified that the first Vice-President shall be elected together with the President in the elections scheduled for 1987. The elections took place earlier than expected. Marcos was cajoled into calling for a “snap election” on February 7, 1986. He run for reelection with Arturo M. Tolentino as his running mate. Ranged against them were Presidential candidate Corazon Aquino and Vice-Presidential candidate Salvador H. Laurel. Eva Estrada Kalaw and Roger Arienda also run for Vice-President. Three days after the elections, the Batasan Pambansa was convened to canvass the votes cast in the elections and by February 15, 1986 the results were proclaimed. Marcos was declared the duly elected President and ARTURO M. TOLENTINO the Vice-President. In 1987 a new Constitution took effect. It provided for a Vice-President as the second highest official of the land. Also, the six-year term of the incumbent Vice-President was extended to June 30, 1992 and the first regular elections for the President and Vice-President were set for the second Monday of May 1992. In the May 1992 elections Fidel V. Ramos and JOSEPH E. ESTRADA emerged as the victors. Estrada was elected Vice President over Marcelo B. Fernan, Emilio Mario R. Osmeña, Ramon B. Magsaysay, Jr., Aquilino Q. Pimentel, Jr., Vicente P. Magsaysay and Eva Estrada Kalaw. Inaugurated on June 30, 1992, Estrada served out his six year term. In the 1998 elections Estrada became President and GLORIA MACAPAGAL-ARROYO received the voters’ nod for the Vice-Presidency. She bested Edgardo Angara, Oscar Orbos, Sergio Osmeña III, Francisco Tatad, Ismael Sueño, Irene Santiago, Camilo Sabio and Reynaldo Pacheco. Estrada had an abbreviated term. Accused of bribery, graft and corruption, betrayal of the public trust, and culpable violation of the constitution, he was impeached by the House of Representatives and was being tried by the Senate when he was forced out of office by mass action at EDSA. On January 20, 2001 Macapagal-Arroyo took her oath as President of the Philippines before Chief Justice Hilario Davide. Pursuant to the provisions of Section 9, Article VII of the Constitution which empowers the President to nominate a Vice-President from among the Members of the Senate and the House of Representatives, President Macapagal-Arroyo nominated TEOFISTO T. GUINGONA, JR. to replace her as Vice President. After both houses of Congress, voting separately, confirmed his nomination to the second highest position in the country Guingona took his oath as Vice-President on February 9, 2001. His term expired on June 30, 2004. On 14 May 2004, GLORIA MACAPAGAL-ARROYO and NOLI "KABAYAN" DE CASTRO emerged victors against their strongest opponents – Fernando Poe, Jr. and Loren Leviste Legarda. It was the first time since elections were held under the 1987 constitution that the winning President and Vice President came from the same ticket. Vice President de Castro mustered 15,100,431 votes or 49.8% of the votes cast while Loren Legarda-Leviste garnered only 14,218,709 or 46.9%. Congress, sitting in joint session as the national board of canvassers proclaimed GLORIA MACAPAGAL-ARROYO and NOLI "KABAYAN" DE CASTRO as the winning candidates on 25 June 2004. He assumed office on June 30 after inaugural rights in Quirino Grandstand and oath-taking ceremony in Cebu City. True to the President’s thrust of making Vice President De Castro a working vice president, she assigned him various tasks: 1.) Alternate Chairman of the National Anti-Poverty Commission; 2.) Presidential Adviser for Overseas Filipino Workers; 3.) Chairman of the Housing and Urban Development Coordinating Council (HUDCC) and Ex-Officio head of the five key shelter agencies. In November of 2004, he was tasked to help in the nationwide campaign to keep the supply and prices of basic commodities stable during the christmas season. Satisfied with the Vice President’s performance, the President asked the Vice President to continue helping the National Price Coordinating Council in its price monitoring efforts.